**GUIDE PRICE £375,000 - £390,000** Robert Luff & Co are delighted to offer to market this rarely available stunning Victorian Cottage boasting many original features ideally located in highly sought after North Lancing location with local shops, restaurant, local schools, health centre and park all nearby. Beautiful accommodation offers entrance hall, living room with original working fireplace, dining room and spacious kitchen with space for table and chairs. 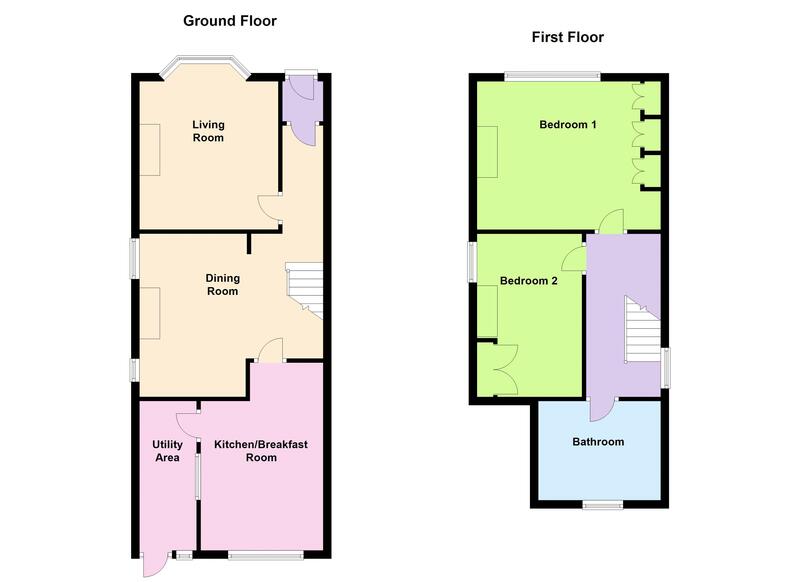 Upstairs there are two double bedrooms and four piece bathroom suite. Further benefits include off road parking, garage and split level rear garden. Original floorboards, radiator and stairs leading to the first floor. Spacious kitchen with a matching range of wall and base units with wood effect work surfaces incorporating a sink unit with hot and cold taps and drainer, space and plumbing for appliances, space for 'Range' cooker, bricked extractor fan, enclosed boiler, glazed windows overlooking the garden, wall mounted thermostat, radiator, glazed door leading to the rear garden and tiled floor. Large living room with feature sash windows into bay, original floorboards and working fireplace, TV point, telephone point and coved ceiling. Original floorboards continued, feature sash window, port hole window, radiator, enclosed storage area, shelving area, under stairs cupboard housing gas and electric meters. Space for fridge/freezer, tiled floor, door to garage and double glazed door to garden. Sash window and loft access. Two sash windows to front aspect, radiator, feature wall, built in wardrobes providing hanging space and storage, coved ceiling. Sash window, radiator, built in wardrobe providing hanging space and shelving, radiator and coved ceiling. Matching four piece suite comprising a panel enclosed bath with mixer taps, pedestal wash hand basin with hot and cold taps, low level flush WC, walk in shower cubicle, radiator, heated ladder radiator, wood effect flooring, sash window to rear aspect and part tiled walls. Split level garden with paved area located at the top of the garden which is a suntrap providing the ideal seating area, side access, steps leading up to a raised garden area, flint wall to side, decorative plants and shrubs surround the garden, greenhouse, shingled area, further paved area. Flint wall, steps leading to front entrance door, decorative plants and shrubs. Driveway providing off road parking for up to two vehicles. Up and over door, power and light and glazed window to rear aspect.